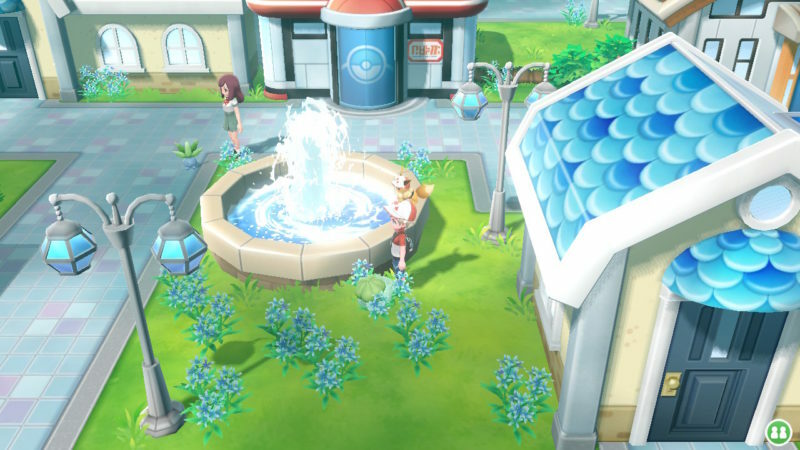 Cerulean City is one of the earliest cities you will reach in Pokemon Let’s Go. You will find this place after Pewter City and Viridian City. It is also the place where you have to battle your good friend Misty in her water gym. 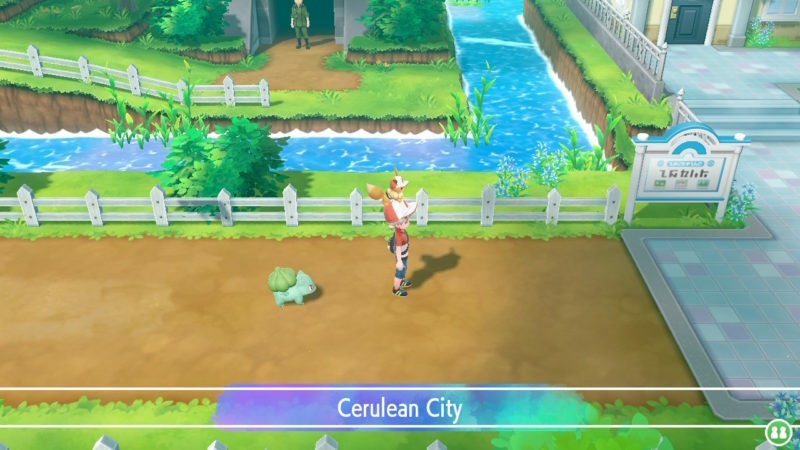 Here’s a brief guide and walkthrough of Cerulean City in Pokemon Let’s Go. These are some of the things you can check out. If you get into one of the houses in the city, you will meet this lady. 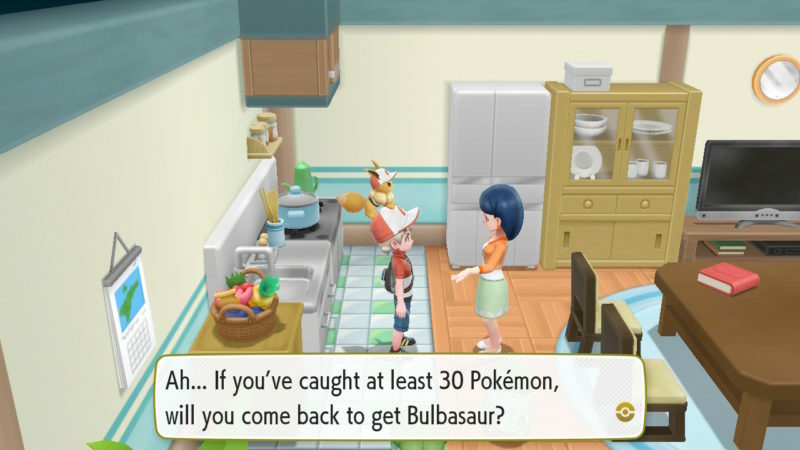 She will offer to give her Bulbasaur to you, but there’s a minimum requirement. You need to have caught at least 30 Pokemon to prove your worth before she gives you the Bulbasaur. There’s also a house with bicycles outside. Get into the building and you will see different bicycles on display. 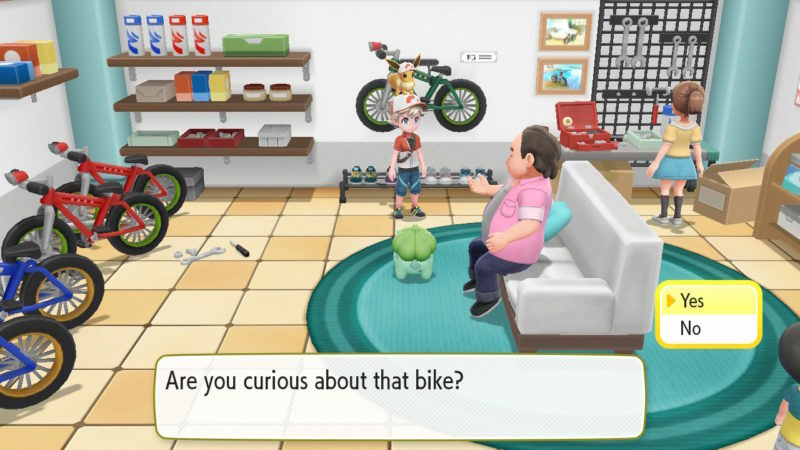 Interact with all of the bicycles (green, red and blue) and he will talk to you. Say “yes” each time. 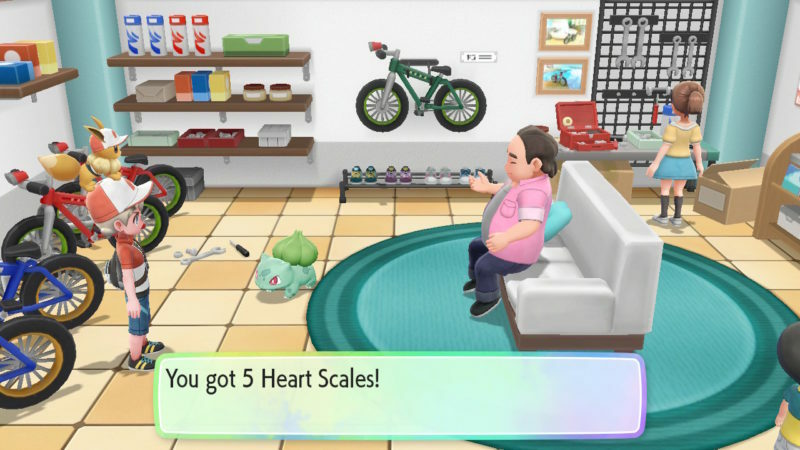 He will then give 5 Heart Scales to you after listening about the three types of bicycles. If you get into the Pokemon Center for healing, you will see this woman here. 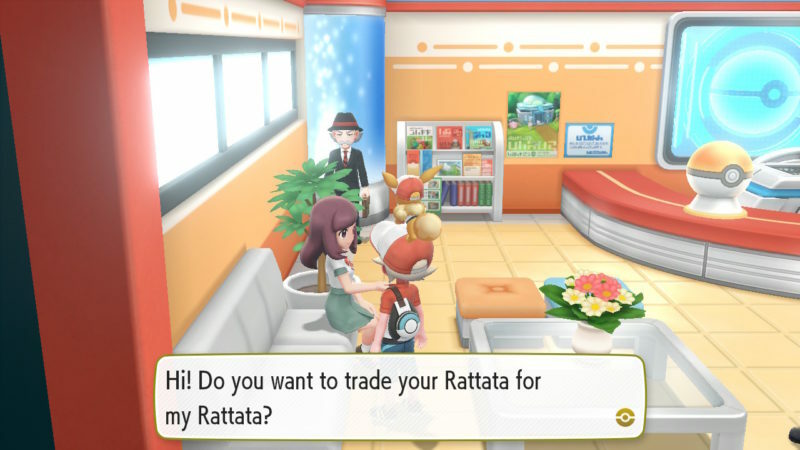 Talk to her and she will offer to trade her Rattata with yours. Hers is special as this Rattata is from the Alolan region, and has a dark element. 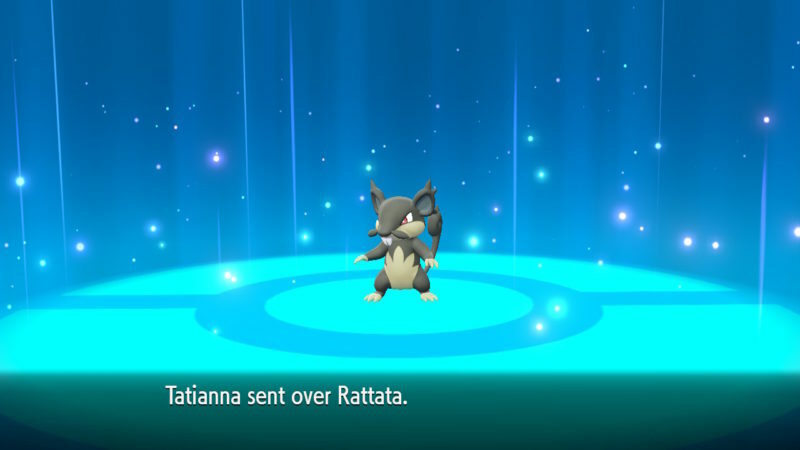 If you do have spare Rattatas, do exchange one of them. There’s a fountain in the middle of the city. Apparently if you throw in money (50 / 500 yen), it helps in the relationship with your Pokemon. If you try to go to Route 24, you will meet your rival. He will then battle with you using three Pokemon. 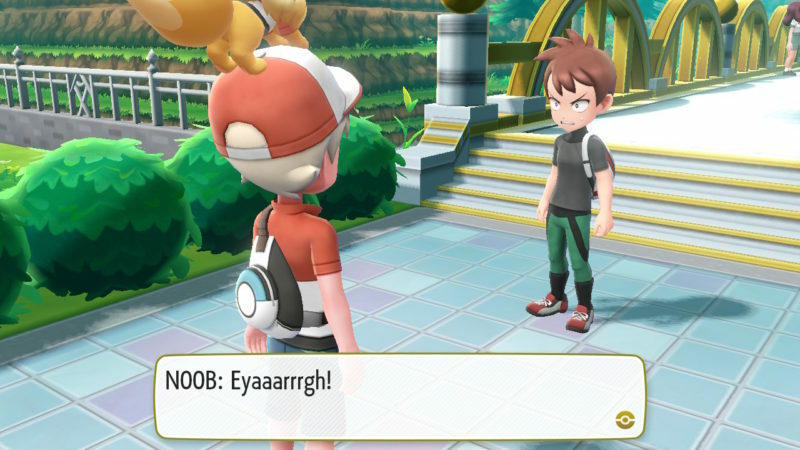 The first you will fight is a Pidgey. 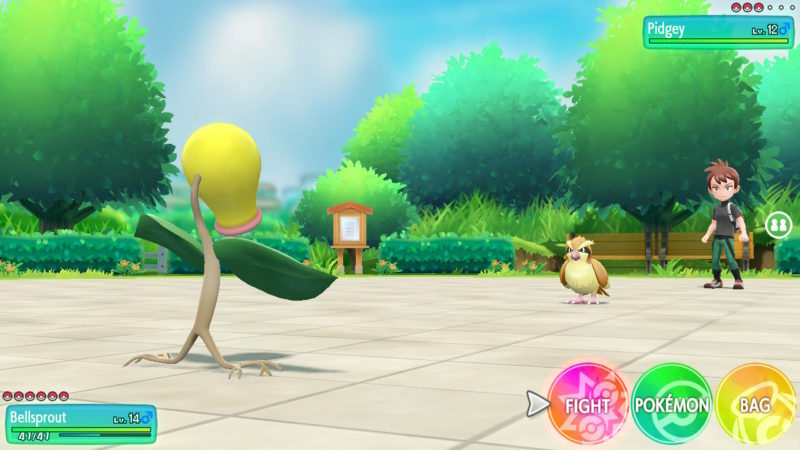 The next is his favorite Pikachu and the last is his Oddish. Also in the Pokemon Center is this man with a lollipop. 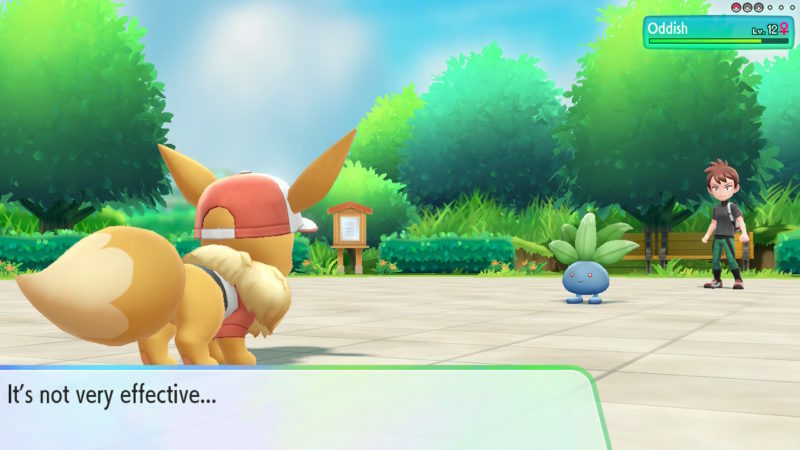 Talk to him and he will offer to teach Eevee a new move. They are probably all of different elements. Bouncy Bubble sounds like a water move and Sizzly Slide sounds like a fire attack. 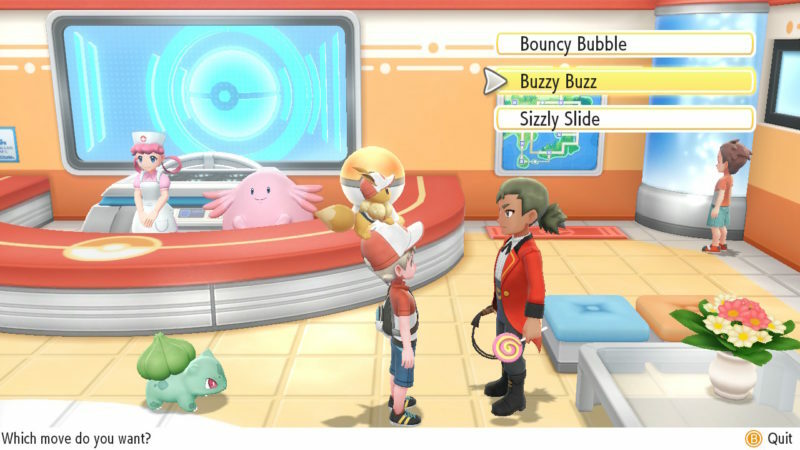 I chose Buzzy Buzz which is actually a pretty good electric attack, and has been useful so far. It may come in handy against Misty’s gym. 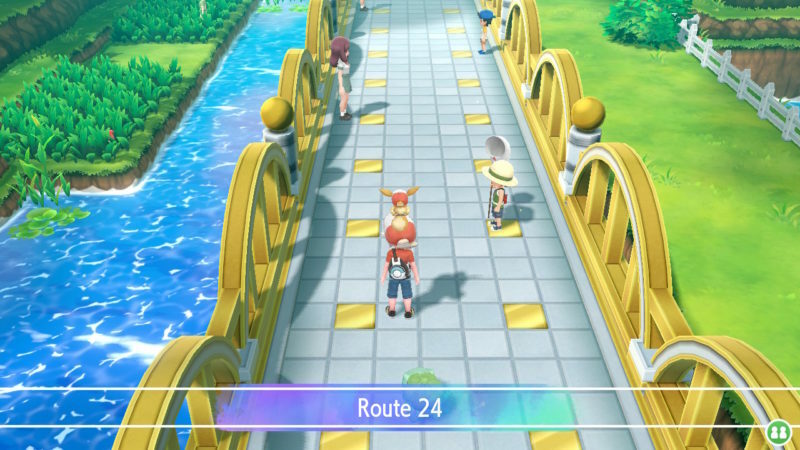 There’s a rare candy near the bridge to Route 24. It’s actually in the backyard of a house. Get into the house and walk to the backyard of the house to grab the rare candy. 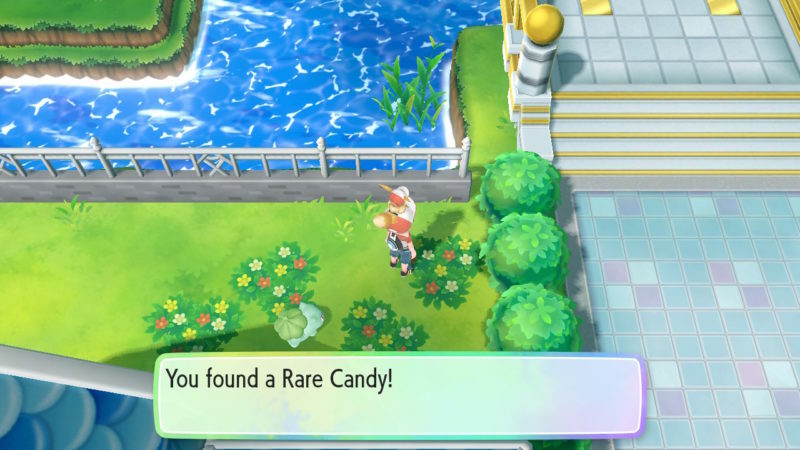 Rare candy is used to level your Pokemon instantly by one level. Once you’re done with Cerulean City, you may want to take Route 24 to get to the next city. 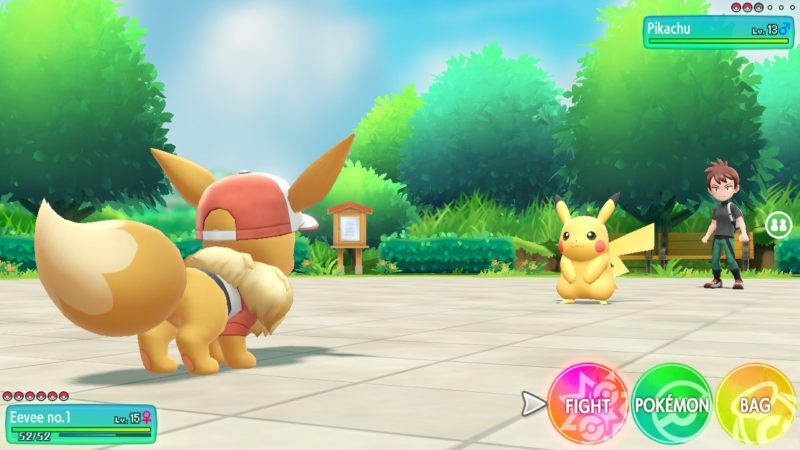 There will be plenty of trainers to defeat on the way, as you can see in the screenshot below. Hopefully this guide has been helpful for you. On the first image you have before entering Cerulean City entrance, you will see a trainer standing by a cave door. How do you get there?